Coalition Technologies Offers experienced PPC experts who know best how to use Google Adwords. As a Los Angeles Google AdWords management agency, we know the platform inside and out. Coalition Technologies is a certified partner of Google AdWords and is fully qualified and approved by Google to help you start and manage your account. Google AdWords is one of the best ways to launch a new website or generate traffic to an older website that has struggled to gain traction with the search engines. Google uses a process called “contextual targeting” to match the correct ads with the correct search queries. 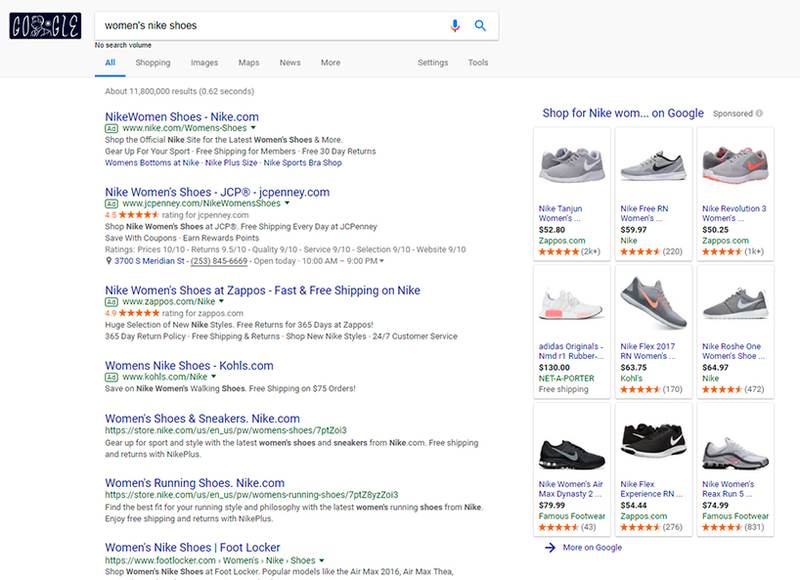 By analyzing text, language, links and page structure across millions of web pages, Google is able to match your advertisement with the pages that your customers visit. When properly targeted, this can lead to tremendous gains in traffic and increased revenue for your business. Implementing an effective AdWords strategy, though, can be extremely challenging for the inexperienced user. Why Isn’t My AdWords Campaign Making Money? You may have heard about Google AdWords, and you may have even heard tried using the service yourself, but without achieving positive results. Like all technologies, Google AdWords has certain inherent challenges. These include understanding correct keyword research, building a good Quality Score, writing ads that translate to a high CTR and relevant traffic, and knowing how to geo-target your ads in an effective manner. As the founder and CEO of Coalition Technologies, a major Los Angeles Google AdWords management agency, I have seen too many clients come to me after building their own initial AdWords campaigns, only to discover that they were losing huge sums of money each day. 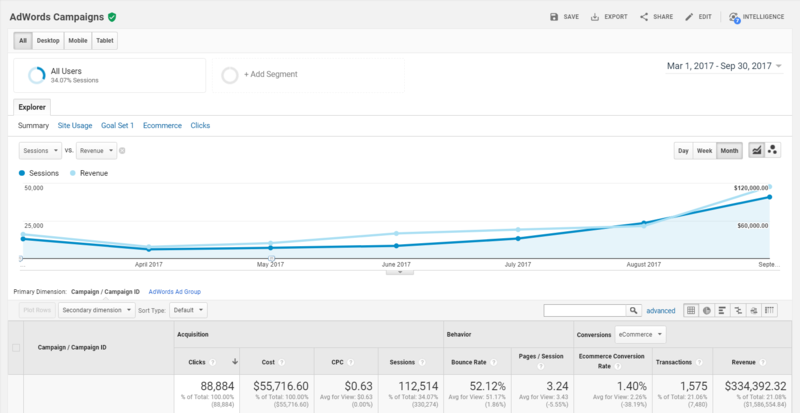 If you are new to AdWords, I strongly suggest seeking professional guidance and training, or better yet, simply hiring an expert to manage your campaign on your behalf, while you supervise. In order for your ad to be profitable, you will need to perform an ROI analysis of your campaigns, ad groups, ads and keywords. You may have a profitable campaign, but you may be losing money on certain keywords or certain ads. You should constantly iterate and refresh your campaign with newer, better ads based on knowledge you have gleaned from your previous efforts. This is part of the reason why it’s so important to have a professional Google AdWords expert help you in managing your campaign: he has had the experience of seeing what works and what doesn’t work, and has good instincts about what can go wrong with your campaigns. When it comes to AdWords, Google offers some specific tips for success. First, identify your advertising goals. Any business is familiar with goal setting, and your paid traffic goals should be clear and concise. Google also recommends organizing your account for maximum effectiveness, choosing relevant keywords and placements, creating straightforward and targeted ads, optimizing your site for conversions, tracking your performance, and testing your campaign to make any necessary modifications. These are all excellent tips, but implementing them can pose tremendous challenges. For instance, how do you choose just the right keywords and then properly target those keywords? What are the ideal techniques for optimizing your site? How do you ensure that your ads are best suited to ensure the maximum conversion? Challenges likes these are precisely why you can benefit tremendously from a professional helping hand. Our AdWords experts have seen, tested and implemented every possible AdWords scenario for a wide variety of business clients large and small, and we know how to optimize pay-per-click campaigns for maximum conversions. If you’re looking for a professional Los Angeles Google AdWords management agency, you’ve come to the right place. At Coalition Technologies, based in L.A., our Google AdWords specialists are happy to help you build your AdWords campaigns and landing pages in the most profitable way possible. Our AdWords-certified professionals each have hundreds of hours of full time experience in managing campaigns across numerous industries. These experts can help you to achieve much greater success in your efforts. If you’ve been using AdWords in vain, you may be causing yourself needless frustration and wasting money on a campaign that fails to achieve its true potential. Give our Google Advertising professionals a call right now at (310) 827-3890. We’ll give you a free quote and explain exactly how we can turn your PPC efforts into real, sustainable profit. We can get you started immediately, so call us today.